On the North West coast of Mahe is the resort of Beau Vallon. 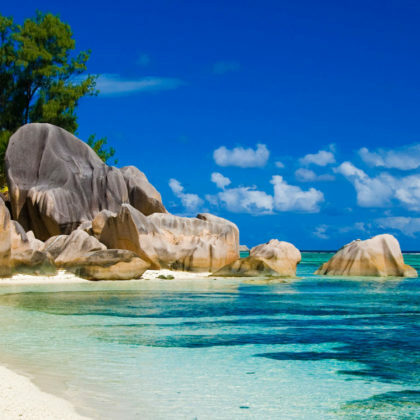 It is the biggest tourist area in the Seychelles but it is still low key. It’s a gorgeous, wide bay with calm, gentle waters that is perfect for children. The sunsets here are out of this world, and the glassy-smooth water reflects the light beautifully. It’s in a great position for exploring the island. 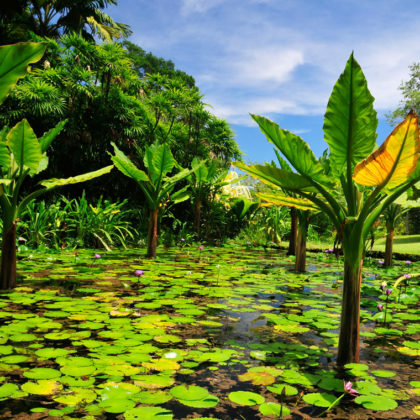 The Botanical Garden is one of Seychelles’ oldest National Monuments, dating back more than a century. It houses a wide collection of mature, exotic and endemic plants within five acres of landscaped and beautifully maintained tropical gardens. Apart from the palms, the garden is home to a wide variety of spice and fruit trees most of which can only be seen in this garden. An added attraction is the population of giant tortoises from Aldabra, some of which are over 150 years old. Located on the granitic island of Praslin, the Vallée de Mai is a 19.5 ha area of palm forest which remains largely unchanged since prehistoric times. Dominating the landscape is the world’s largest population of endemic coco-de-mer, a flagship species of global significance as the bearer of the largest seed in the plant kingdom. 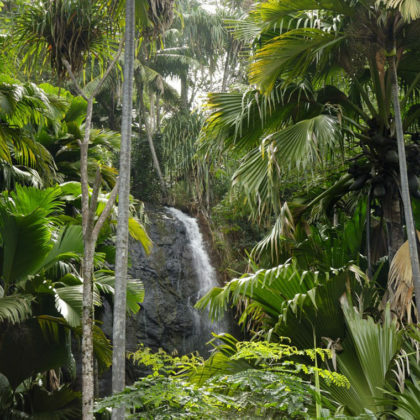 The forest is also home to five other endemic palms and many endemic fauna species. Voted the best beach in the world by CNN in 2013, Grande Anse is a phenomenal sweep of white sand with dramatic waves breaking across the bay. 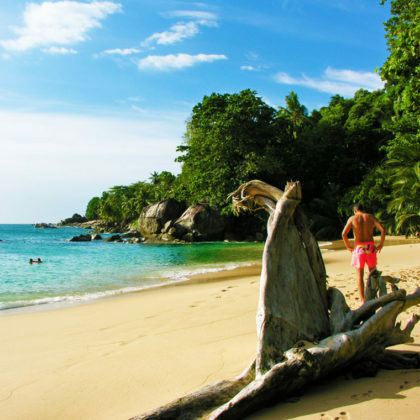 Grande Anse is reached by cycling over a large but fairly gently sloped hill, an attractive route that takes you up through the gardens of La Digue, past a number of shacks selling fruit juices and snacks should you need to take a break. 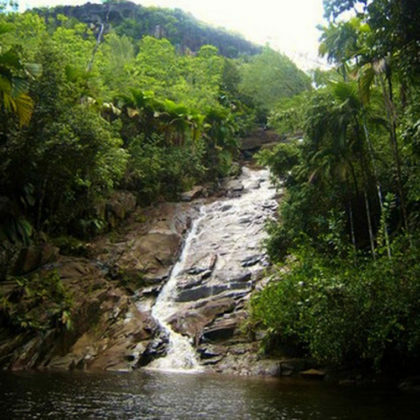 The splendid Morne Seychellois National Park encompasses an impressive 20% of the land area of Mahé and contains a wide variety of habitats, from coastal mangrove forests up to the country’s highest peak, the Morne Seychellois (905m). Choked in thick forest, the enigmatic central part of the park is virtually deserted and can only be reached by walking trails.